They are tomorrow’s electrical engineers and computer wizards, entrepreneurs and innovators, worship leaders and teachers, medical professionals and lawyers, musicians and thespians. They will help solve global challenges, spread the Gospel, invent the next great thing and make their loved ones’ hearts burst with pride and joy. They are a smart bunch with an incoming GPA of greater than 3.5, and so young, too: One in five is under 18 years old. They primarily hail from the western U.S. – Arizona, California, Colorado, Washington, Oregon and Hawaii – and while some literally are neighborhood kids, others were born far away, in South Korea and Nigeria. They are our hope for the future. They will do great things at home and abroad. Welcome, Class of 2019. We’ve been preparing for you. From the moment the Ault family stopped by campus to visit a friend and hopped aboard the GCU welcome wagon (guided tour, purple T-shirts, free tickets to a men’s basketball game), they were sold. “It was a whole cool adventure,” said Aven Ault, whose family rolled through Phoenix in their RV on the way home from a trip to Texas a couple of years ago and found themselves at a boisterous Arena event. 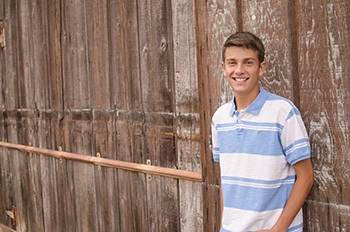 The thrill continues now for Ault, the Class of 2015 valedictorian at Clovis East High, where he also was the top player on the boys’ tennis team. And he’s recruited several friends from central California to GCU, including his roommate, Trevor McIntosh. Phoenix’s heat might be an adjustment: Ault spent the summer at mile-high Hume Lake Christian Camp in California, leading devotions and recreation for hundreds of young campers. Serving the Lord always has been important to this son of missionary parents, who grew up in Spain making friends with the locals and becoming fluent in Spanish. The GCU factor: The family loved campus so much that Ault’s stepmom, Colleen, applied for a job and was hired as a regional admissions representative in California. 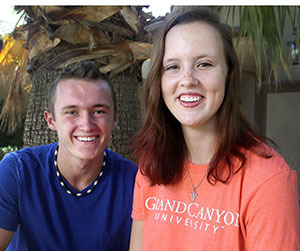 Among the record six pairs of twins and 470 freshmen entering GCU’s Honors College this fall are Briana Norheim and her one-minute-younger brother, Brian. They have a yin and yang that is both fiercely competitive and sweetly protective. The competition shows up mostly on the basketball court, where Briana and Brian have bounced around together since they were old enough to walk. Briana played on her brother’s team in middle school because there was no girls’ team, and both were multiyear captains of their respective teams at Desert Christian Academy near their home in Bermuda Dunes, Calif. Both played piano and were in AP and honors classes during high school. Briana also packed in volleyball and cheer, while Brian was drawn to ministry in the academy’s elementary school. They each describe themselves as hard working, but she is positive, energetic and persistent while he is more strong-willed and dedicated. Briana chose nursing but has not ruled out becoming a teacher because she wants to make a difference in people’s lives. Brian plans to become a doctor and has heard about the hands-on opportunities that pre-med students have in GCU’s cadaver labs and on medical mission trips around the world. He is interested in pursuing orthopedics in mission work, if that’s where God calls him. The twins have been in the same classes at the same school all their lives, and when they began to think about college, Briana initially was open to being at a different place than her brother. 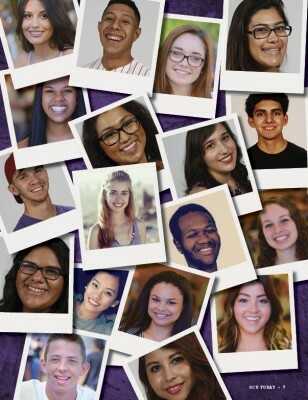 And it’s not as if the twins won’t know anyone at GCU: one quarter of their 32-member graduating class is enrolled, too. Still, watching out for each other will be a priority. But for that one B, in Spanish, Denisse Delos Santos would have a 5.0 GPA. 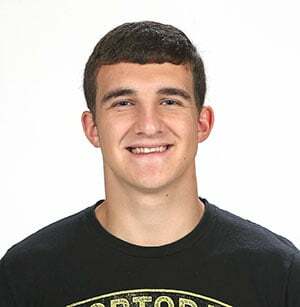 The Class of 2015 valedictorian at North High in Phoenix, who took four years of the boot camp equivalent of learning — International Baccalaureate — had to settle for a 4.92. Delos Santos insisted she’s not that smart. “I’m just really determined when it comes to work. It runs in my family,” she said. The tests, essays and homework at North were a grind, but she refused to be one-note. Choir, playing piano and guitar and drama were mixed in with U.S. history, pre-calc and physics. From a ready smile to the “I am Second” bracelet to his confident stride, Easton Barbour has the countenance of a young pastor. “I’m hard-wired for the ministry, especially for fellowship and discipleship. I don’t have a passion for anything else,” he said. When Barbour’s parents moved their family from North Carolina to Gilbert in 2011, it was a faith wakeup call. His new school, Basha High in Chandler, had more than 2,500 students, and Barbour felt a bit lost. He joined the school soccer team and tackled the books, finishing with a 4.75 GPA and amassing more than 30 required college credits. Barbour has taught children and teens at Mission Community Church and co-founded Basha’s chapter of Fellowship of Christian Athletes. He recently spent three weeks in Europe, a pack on his back and God on his heart and lips. The proof: She completed her freshman year of college, with 15 AP credits and one semester of dual enrollment, while in high school. Tedrow enters GCU with 35 college credits and a blank canvas on which to paint her future. She’s interested in how the mind works, maybe counseling or law. Intramural volleyball and the Learning Lounge at GCU also have enlarged her sphere of interest. Joey Bombaci grew up drawing anything with wheels or wings and playing ice hockey. When his parents suggested he pick art or sports, Bombaci hung up his skates and sharpened his pencils. As a sophomore at Sandra Day O’Connor High in Phoenix, he was part of a team whose designs were among the top 50 in Vans Custom Culture, a national contest that inspires teenagers to embrace their creativity using the blank canvas of blank canvas shoes. Bombaci pursued a job at a local Vans, not to perfect the art of selling apparel, but to learn the process of design. His creativity landed on the radar of Steve Van Doren, son of Vans co-founder Paul Van Doren, who sent Bombaci a pair of size 66 blank canvas high-tops to customize for display in the Cypress, Calif., corporate office. Bombaci has since personalized more than a dozen pairs of Vans for friends and is looking forward to exploring digital design at GCU. 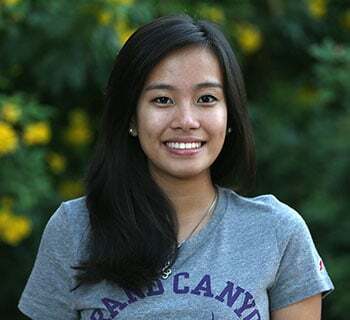 GCU has been a part of May Carreon’s life since grade school. She grew up eight blocks away, never missing a Fall Festival or Christmas party on campus and dreaming of being the first person in her family to go to college, in her very own community. But money was tight, and Carreon realized during her senior year at Alhambra High that she was responsible for her future. 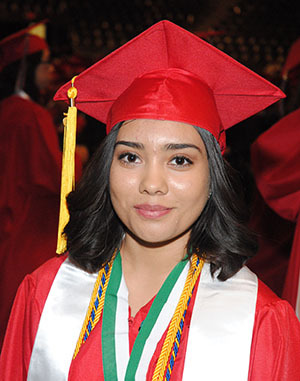 Her math teacher directed her to the University’s Learning Lounge for pre-calculus tutoring, and Carreon sought its help in writing applications for college scholarships. She enrolled in GCU’s “Jump Start to Jobs,” coming to campus on Saturdays to build her resume and practice job interview skills. Carreon had never before held a job. Her initiative succeeded: a full-ride scholarship from the Colangelo College of Business and a paid summer internship at Wells Fargo. Carreon has her sights on landing Jerry Colangelo as her mentor. Bank on it. Kara Sutton didn’t move to Phoenix in the most climate-friendly month — June — but she couldn’t be coming to GCU at a better time. 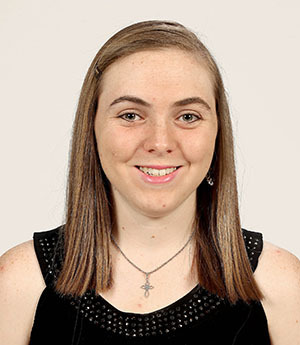 Sutton has plenty of speech and debate experience as a teacher of younger students and a participant in the National Christian Forensics and Communications Association. 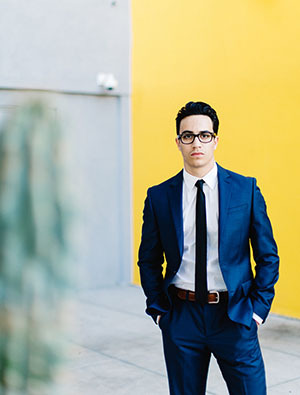 Members of GCU’s speech and debate team this spring won for the second consecutive year national titles in individual events at the National Christian College Forensics Invitational. Sutton, who was homeschooled, doesn’t know if God will lead her to teach in a public or private high school or a university. But she’s certain she’s been called to share her Christian worldview through teaching. 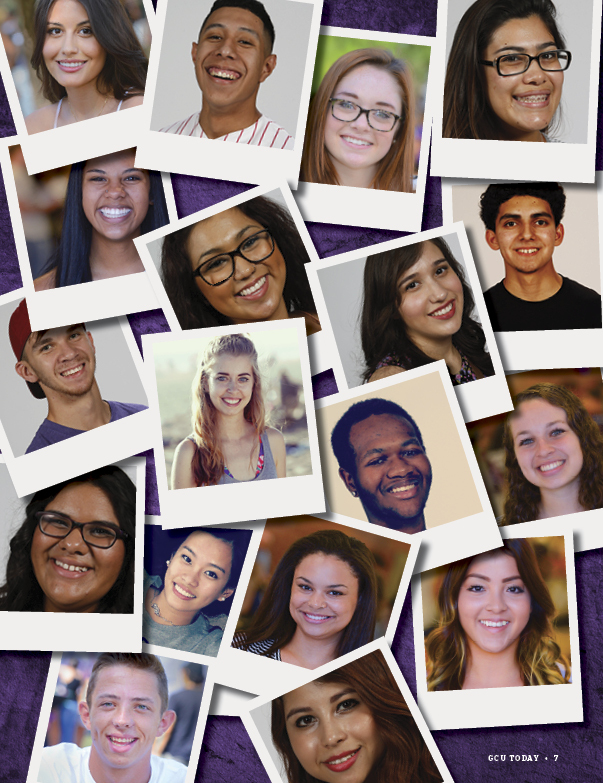 The GCU factor: Sutton wants to explore GCU’s global mission program. Her heart was captured by a February journey to China to minister in a nursery for babies abandoned because of their disabilities. 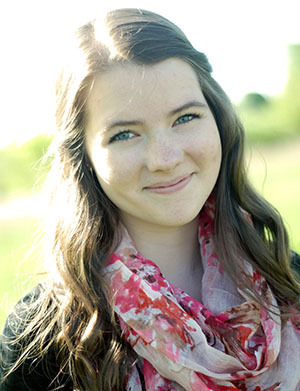 Rilynn Hansen was a high school freshman in 2011 when she and her sister, Morgan, won first place in a national Future Business Leaders of America contest for their financial plan on a mock business. No other Oregon ninth grader had ever done that. Hansen again wowed FBLA judges at the 2012 nationals, earning another blue ribbon for a real community service project. 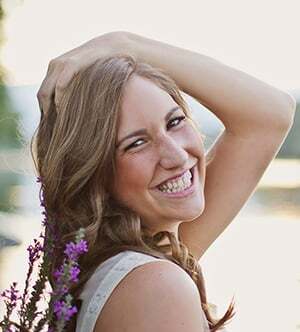 She and other students at Hidden Valley High launched the Josephine County Foundation in a region plagued by higher child poverty and unemployment rates and lower high school graduation and college achievement. “We wanted to do something real. We saw our county struggling and we wanted to make a difference,” she said. Hansen became proficient at grant writing and building relationships. The nonprofit began with community vision clinics, where 200 pairs of used glasses were handed out to low-income people.